Nixon decided to use force to end the Vietnam War, and refused to explain the 12-day "Christmas Bombing" to the American people. "He thought it was diplomatically vital that he make this look as cold an operation as possible," says speechwriter Ray Price. 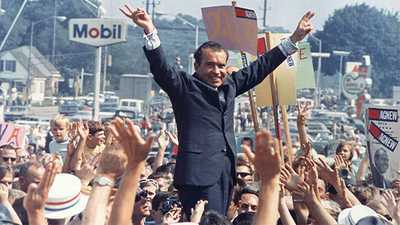 President Nixon garnered approval with his "Silent Majority" speech in November 1969. 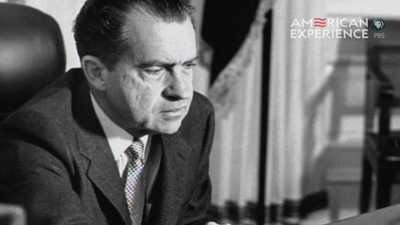 In 1972, Nixon took a risk and responded to North Vietnamese aggression by bombing Hanoi. 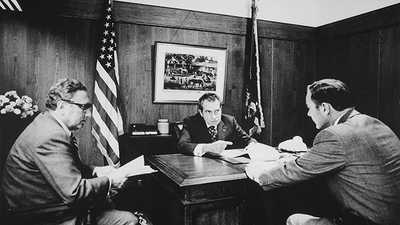 Nixon and Abusing Power: The "Saturday Night Massacre"
Nixon fired special Watergate prosecutor Archibald Cox in "The Saturday Night Massacre."